Amazon FBA is the external logistics solution for Amazon for the pick / pack / ship processes. Magento Amazon FBA is complementary to Amazon Magento and allows you to take full advantage of the entirety of the Amazon FBA services. It makes it possible to sell a product on your Magento website and to then send it via Amazon FBA, or even to sell a product on Amazon and to dispatch it yourself. Efficiently manage your Amazon Seller account with Magento Amazon FBA ! 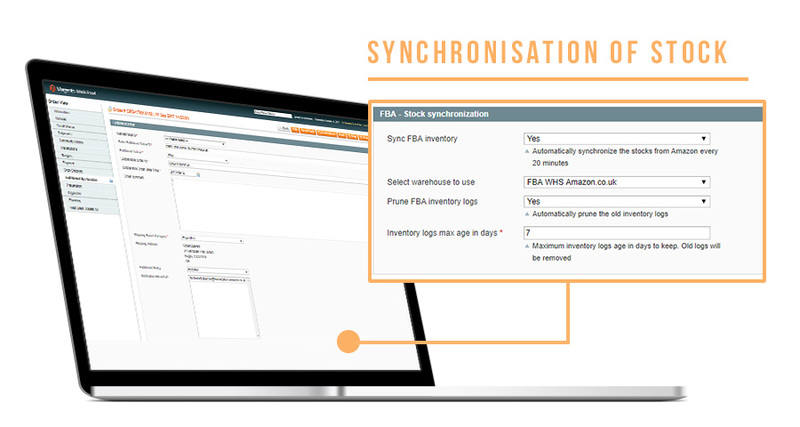 • With Embedded ERP, there is the option for multiple warehouses to create and synchronise FBA in different warehouses. 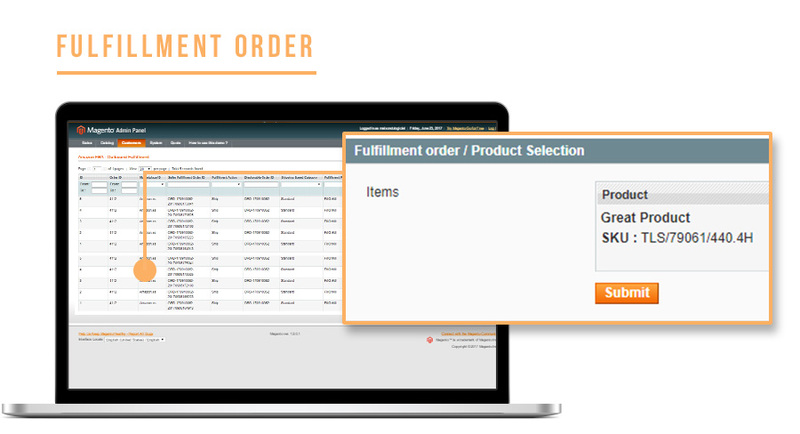 • Track the progress of outbound shipment : the FBA extension automatically updates the tracking number in Magento obtaining it from Amazon.